Sklar got his start at Disney while he was still in college, when he was tapped to write The Disneyland News newspaper for the soon-to-open park. After graduating, he started working for Disney full-time, writing marketing copy and speeches for Walt Disney himself. He eventually moved into ride and park design, helping to create “It’s A Small World” for the 1964 New York World’s Fair, and serving as one of the key creative voices on EPCOT. As a top executive in the Imagineering department, he oversaw design and construction on a number of the company’s eventual facilities, including Tokyo Disneyland and Disneyland Paris (formerly Euro Disney). Perhaps more important, though, was Sklar’s ongoing dedication to the principles that the parks were founded on, which he condensed into a list famous among Disney fans, known as “Mickey’s 10 Commandments.” These include admonitions to never talk down to guests, the importance of maintaining standards of cleanliness and consistency, and reminders that designers and executives should view the park from visitor’s perspectives as often as they could. “I think Disneyland is so much about reassuring people the world can be OK,” Sklar told The Associated Press back in 2005, during the park’s 50th anniversary. “That things can be orderly, that you can speak to a stranger. 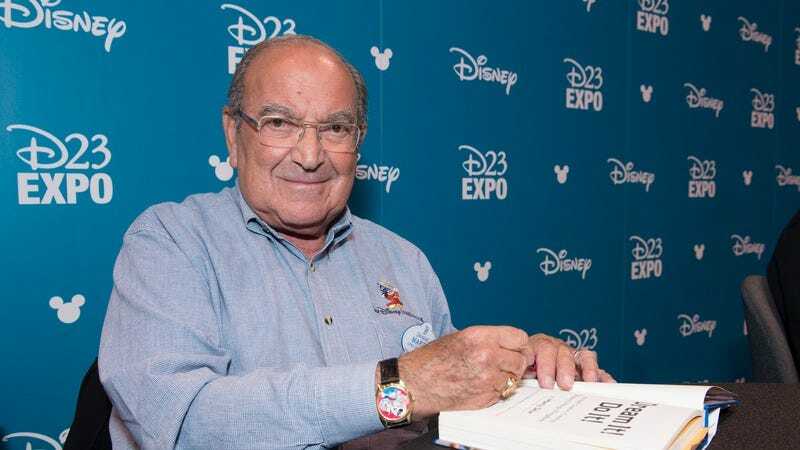 All those things that we are losing or have lost in our daily lives.” Even after his retirement, Sklar was a regular part of the Disney life, appearing as recently as two weeks ago at the company’s D23 Expo. Sklar is survived by his son and his wife of 60 years. According to the AP, he was 83.